Growing up in the eighties, pinwheels (sweet or savory) were pretty in back then. Some served at cocktails, at tea time and at my home it was served at birthday parties. This explains why I usually associate these as being very retro. I still remember making these with my mom for the various parties we hosted at home. I was always fascinated at how cute they look. It reminded me of a coil when served on a silver platter. My job in the kitchen then, was to spread on the filling which my mom would then gently roll it and would later slice it. Given to play such an important part in the making process at 10 years old, I was totally overwhelm and made sure I did my best. 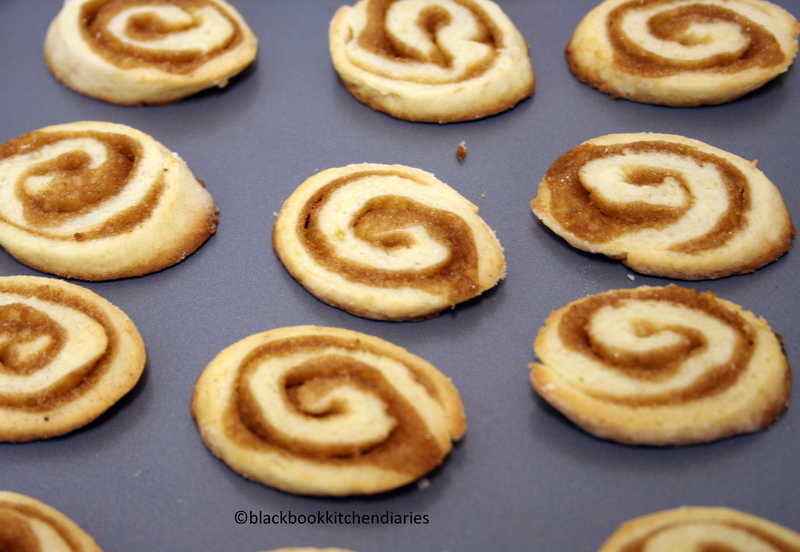 Even till this day, every time I see any sort of pinwheel recipes; sweet or savory it will always bring me back to that day. Today, I had some extra bananas left in my fruit basket and instead making the usual smoothie I decided to turn them into cookies. And seeing how my cookie jar is now empty I thought, why not? This taste just like bite size banana bread only crunchy. You can make them ahead of time and just keep it in the refrigerator or freezer until you’re ready to bake it. Then simply slice it up and pop it in the oven to bake and later serve it over tea or coffee or however you like it. Mix together butter, vanilla and sugar with an electric mixer until light and fluffy; add egg, beat until combined. In a separate bowl, mix together flour, ground almond and salt. Add the mashed banana to the butter mixture, then mix in the dry ingredients. Mix to a firm dough. Cover and refrigerate for 30 minutes. Roll half the dough between sheets of greaseproof paper to 8inch x 12inch rectangle. 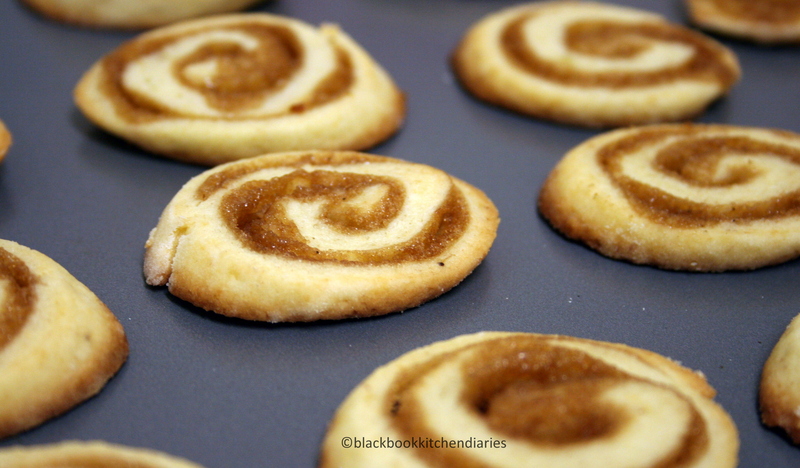 Spread evenly with half the caramel, roll up firmly from a long side. Repeat with remaining dough and caramel. Wrap rolls in foil, refrigerate for 30 minutes. Cut rolls into 1/8 inch slices, place about an inch apart onto greased baking sheet. Bake in preheated oven for about 15minutes or until lightly browned; cool on baking sheet. Caramel: Beat butter in a small bowl until smooth, then add sugar and cinnamon and beat till combined. I think we have very similar taste buds…these look HEAVENLY! I can’t wait to make them with my daughter! Your recipe calls for ground almond. Is that an actual product or did you take actual almonds and grind them up? (Sorry for the naive baking question – I’ve just only heard of almond paste or plain almonds). Thanks so much! I can’t wait to make these!